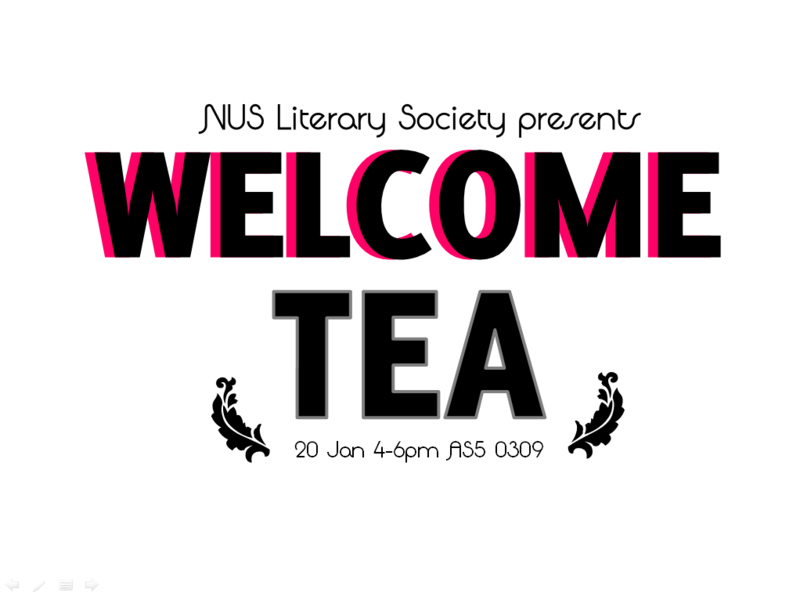 The Literary Society will be hosting a Welcome Tea session for all students who are planning to study (or are already taking) Literature as their Major or Minor! The Welcome Tea will be an opportunity for you to meet and interact with like-minded individuals in an informal setting, and there will be talks by Prof. Gilbert Yeoh and seniors who are taking Literature as their course of study, as well as activities specially designed to keep you entertained! Seize this chance to also find out more about the upcoming events that the Literary Society will be organizing, including Writing The Perfect Literary Romance and Fairy Tales, Your Tales! Do e-mail your name and contact number to nusliterarysociety@gmail.com to let us know if you’re coming! We hope to see you there!